Jump on the Review Train and Get Online Doctor Reviews for Your Clinic – You Won’t Regret It. Online reviews have taken over the world. With 72 percent of consumers trusting online reviews as much as personal recommendations, you better jump on board or you’ll be left in the dust. And if you think consumers only check online review for restaurants or hair salons, you’d be wrong. It’s no different for doctor offices or physicians either. Consumers check online reviews to help them determine which physician to visit for their health problems. It’s time to jump over that hurdle of fearing the unknown and get some online doctor reviews for your practice before it’s too late. We aren’t spouting non-sense when we say reviews are important. Countless research has been done to determine whether or not online technology has any influence on the way we consume information and how it affects our thoughts. Consumers act the same way when searching for a physician as other products or services. A study shows this by reporting that 77 percent of patients research doctors online before scheduling an appointment. In addition, another study published by the National Center for Biotechnology Information concluded that the higher number of reviews a physician had, the more positive people perceived the physician. Having patients consider your practice and perceive it in a positive light is connected with having plenty of reviews. 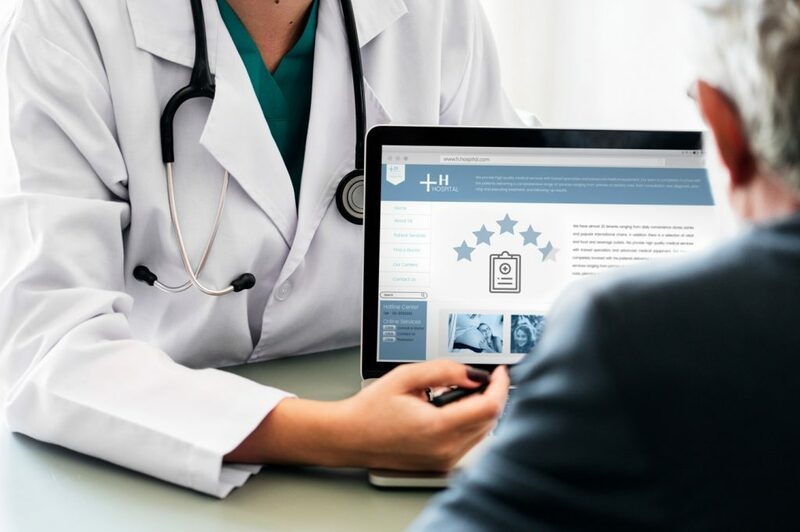 With patients checking online reviews to determine whether or not a doctor’s office is the best choice for them, having reviews can really influence how many new patients you get. If having more reviews means more new patients viewing your practice positively, you could have more people coming through your doors on a monthly basis. It’s a small trade-off to get loyal patients calling you to schedule appointments. In addition to reviews helping you get more patients, they can also help you improve your practice. While no company or physician likes getting negative reviews, they can give you insight into how you can improve the care you provide. If several people comment on how the lobby furniture looks outdated, this brand-new information can help you realize that you need to update the furniture. Listening to your patients’ complaints and praises can help you satisfy them with good, quality healthcare. Many physicians worry about their online reviews because they don’t want negative ones posted about their practice. The fact is though, that no company in the world has a perfect review score and those few negative reviews you may get won’t be as big of a deal as you think. When people look at reviews, they look at the overall consensus. A few bad reviews will be easily drowned out by the crowds leaving positive ones. You can even identify patients who you know had a great experience and personally ask them to leave you a review. Getting reviews for you practice is as easy as asking for them. All you need to do is ask them where they would be most responsive when it comes to communicating. For many, this is through email or text message. For others, it may be in person. To increase the chances of getting reviews, you can use an automated review management platform. Review management platforms like Kydos allow you to send review requests, respond to reviews, and publish reviews on your website easily. Best of all, using Kydos, you can send the review requests in the best way for your patients, whether that is through a text message or through an email. It’s time to leave the station behind and jump on the review train so your practice can grow. Call Kydos today and begin getting more online reviews for your doctor’s office.